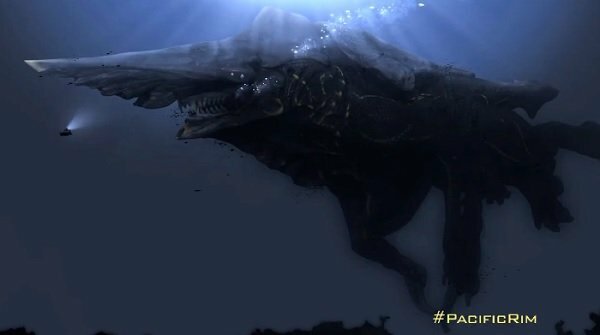 The above video, courtesy of io9, takes us up close and personal with the variety of gigantic Kaiju that come out of an ocean rift to make life on Earth more difficult than it already is. And thankfully it isn’t just rehashed conversations in which Del Toro professes his love for old Japanese movies, although the first minute or so makes damn sure we all know what Kaiju are, both as beasts and as a film genre. 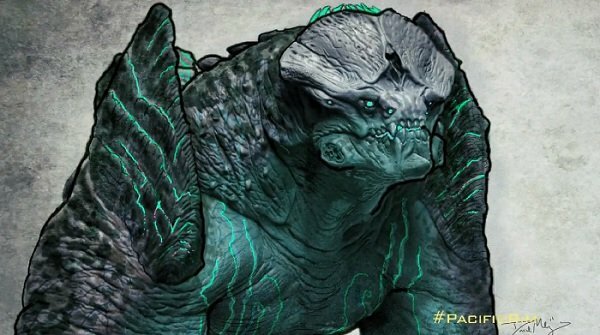 Soon though, they start talking concept designs and their approach to creating these seemingly undefeatable creatures. Since by default, the Earth has the creepiest and most vicious animals in the universe, the creative team based their designs on animals from this planet, including sharks and gorillas. Only if sharks and gorillas made jetliners look like Big Wheels. Take a look at a couple of screencaps of their conceptual art below, as well as the intimidating size chart lining up the Kaiju and robotic Jaegers against a T-Rex and a car. Idris Elba to think about a crocodile compared to a lizard, and that a dinosaur is the lizard while the Kaiju is the crocodile and viewers may begin to understand the scale of this flick. (And picture me as the most excited ten-year-old on the planet.) And to keep the monsters from becoming too ridiculous, Del Toro told his designers to constantly picture the creatures as if they were a man in a suit, and to use that mindset to ground the look and motion. But perhaps the most interesting part of the video is when Del Toro says they had an American Idol-like elimination process with the designs, and only the monsters that everyone agreed upon were the ones that remained in the film. These are the best of the best, and from the moments of all-new footage shown in the clip, I believe it wholeheartedly. 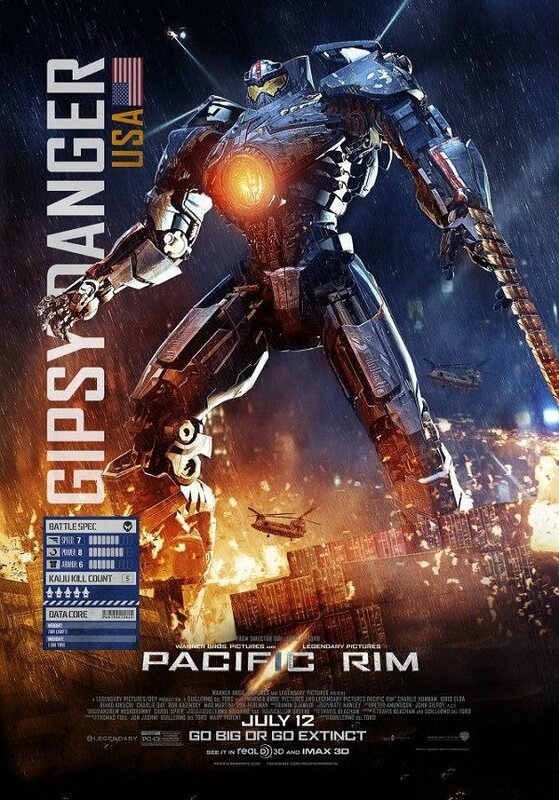 I hate it when people compare this movie to Michael Bay’s Transformers series, just because CGI robots are involved. 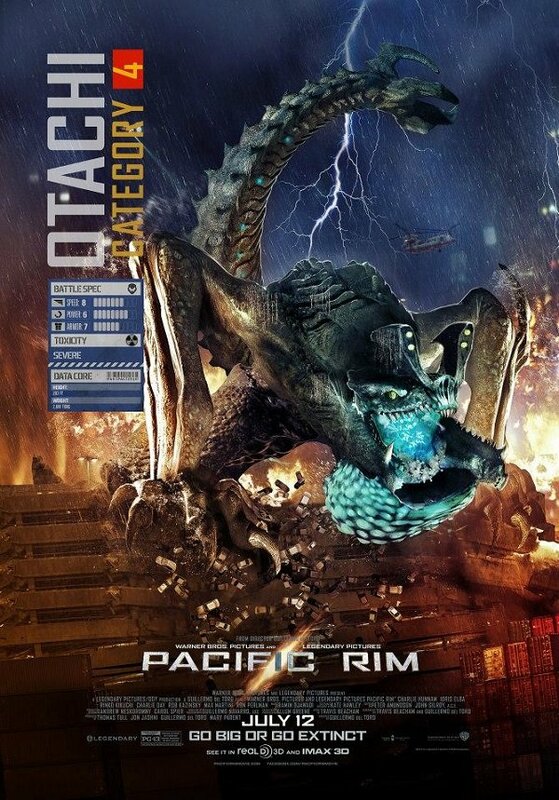 Those films ruined my childhood memories, while Pacific Rim looks to reinvigorate them like never before. And if you need more background fun, check out the recently released extended B-roll footage. 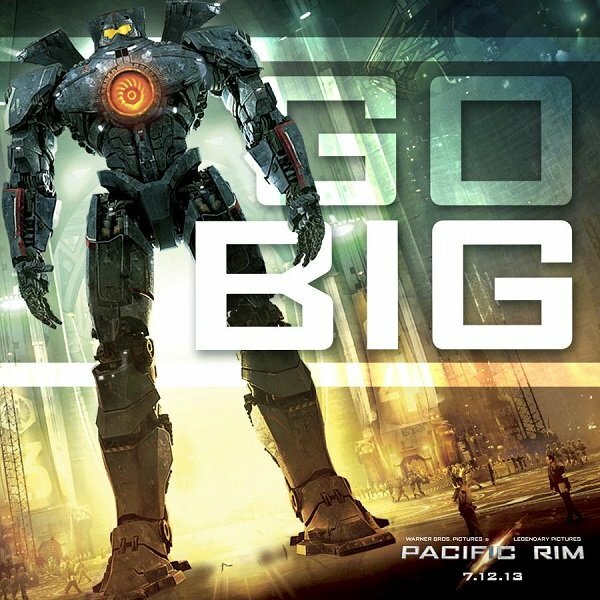 Pacific Rim will hopefully demolish the U.S. box office when it opens next weekend on July 12. Let’s all go spend some money on a spectacle that its creator truly cared about! Somehow, there are more posters still being released, three of which can be seen below.